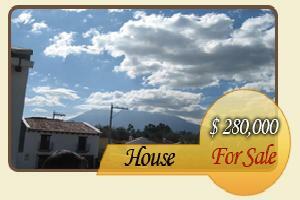 This property is located in a gated community, only 10 minutes from Guatemala City and 15 minutes from Antigua Guatemala. It is a modern house with abundant natural light and ventilation; the house has 3 bedrooms, each with a private bathroom and closet, 2 living rooms the main one with a fire place, dining room, kitchen with cabinets and a laundry room and maid quarters. Maintenance included.